Delivers enhanced and more reliable wireless data broadband coverage to businesses and citizens in one of the largest cities in the world. SOMERSET, N.J.--(BUSINESS WIRE)--Royal Philips (NYSE: PHG, AEX: PHIA), the global leader in lighting, today announced that the City of Los Angeles (LA) will be the first city in the world to deploy 100 Philips SmartPoles – connected LED street lighting that includes fully integrated 4G LTE wireless telecommunications technology by Ericsson. The collaboration between Philips and Ericsson delivers on the latest Internet of Things (IoT) innovation and provides a double benefit to LA citizens: high quality, public lighting that is energy efficient as well as improved network performance in dense urban areas. 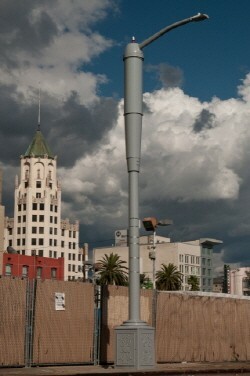 "The analog light pole has evolved right here in Los Angeles,” said Mayor Eric Garcetti. “L.A. is a world leader in LED street lights and has more poles than any other city in America. We are now taking advantage of previously untapped real estate to give our streets better broadband connectivity and future-ready infrastructure, while generating revenue for the city. This project shows what smart infrastructure can do for Los Angeles: create jobs, save tax payer dollars, and improve our environment." This project expands on Philips’ existing relationship with the City of LA. 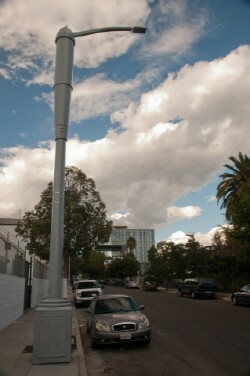 Earlier this year, LA became the first city in North America to monitor and control its street lighting through Philips CityTouch, an advanced Philips streetlight asset management system that uses mobile and cloud-based technologies. Better lit streets contribute to safer streets, less accidents and deter crime while connected management of street lighting reduces further the amount of energy used and simplifies maintenance. For mobile network operators this innovation offers new possibilities to find the right site location. It also helps scale mobile wireless 4G/LTE infrastructure deployment beyond traditional sites. As a result operators can improve data coverage and capacity for citizens so there are no more signal dropouts.